“Scene from the Ghetto.” 1941. 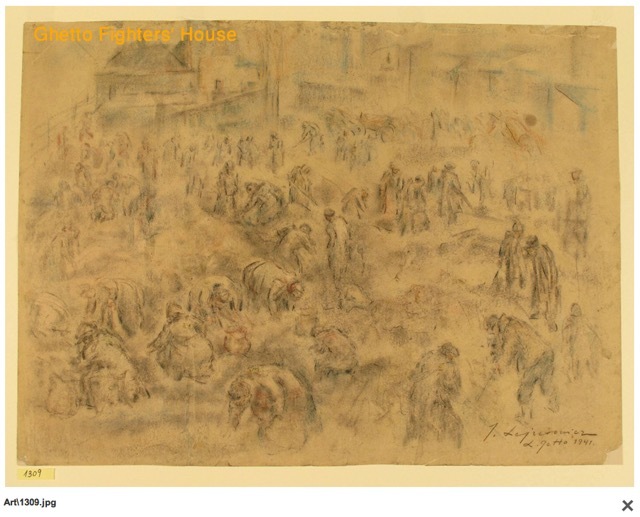 Ghetto Fighters’ House, Israel, item 1309. Gift of Nachman Zonabend, Sweden. This drawing pre-dates the establishment of the "Scholarly" Department in the ghetto, so it's difficult to know how, why, by whom, or if it was commissioned.